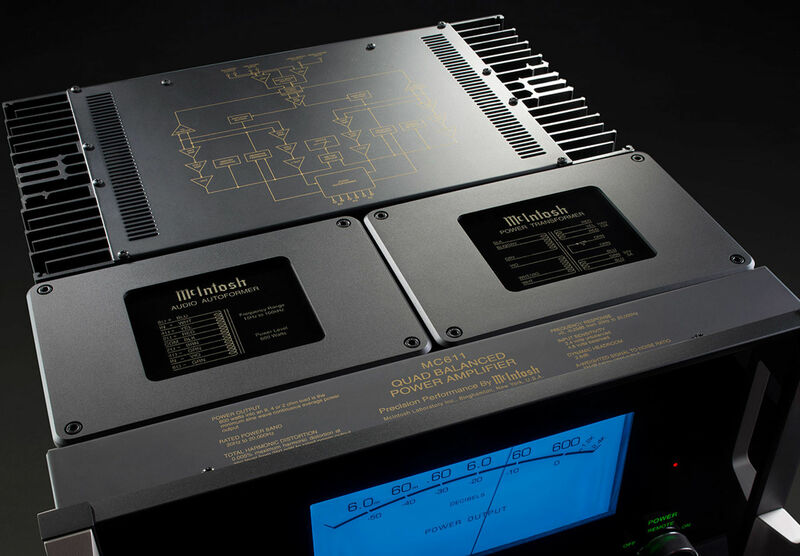 The monoblock MC611 Quad Balanced Power Amplifier produces 600 Watts of power – enough to satisfy nearly any loudspeaker. A pair of MC611s can easily drive an impressive home stereo system, or add more of them to power a home theater. 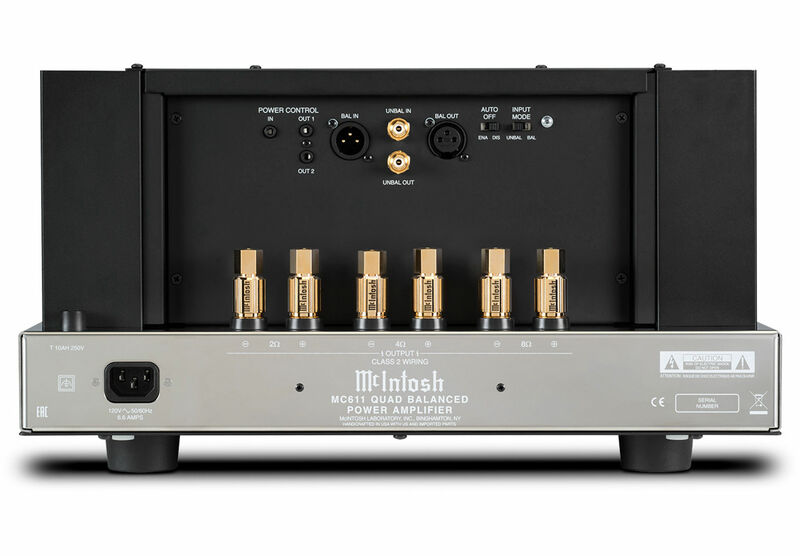 Thanks to our unique output Autoformer™ technology, your speakers will receive the full 600 Watts regardless if they have 2, 4 or 8 Ohm impedance, allowing you the ability to use the MC611 to i​ts full potential. 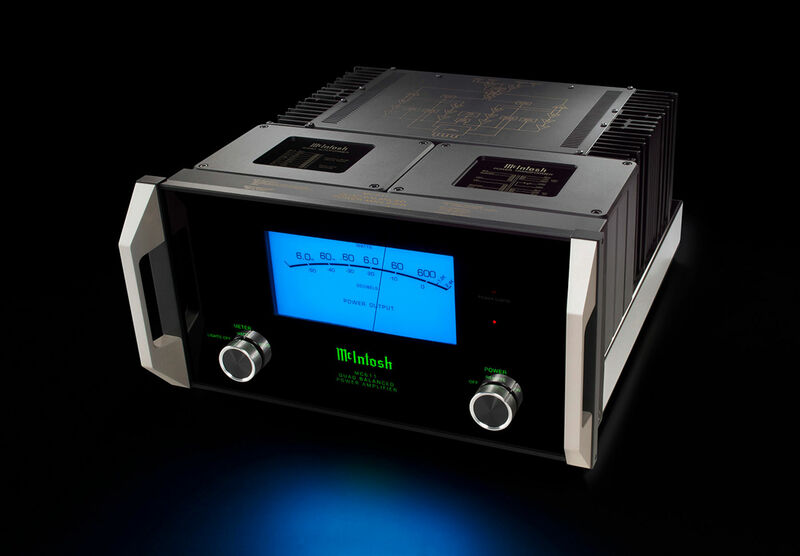 The MC611 has received numerous updates and improvements compared to our previous 600 Watt monoblock model. Chief among them is that filter capacity has been doubled which has resulted in a dramatic 55% increase in dynamic headroom from 1.8dB to 2.8dB. This twofold increase in filter capacity also helps improve theperformance of low end bass frequencies. Sentry Monitor™ – our fuse-less short-circuit protection circuit that disengages the output stage before current exceeds safe operating levels and then resets automatically when operating conditions return to normal. Quad Balanced design that cancels virtually all noise and distortion that may have crept into the audio signal. 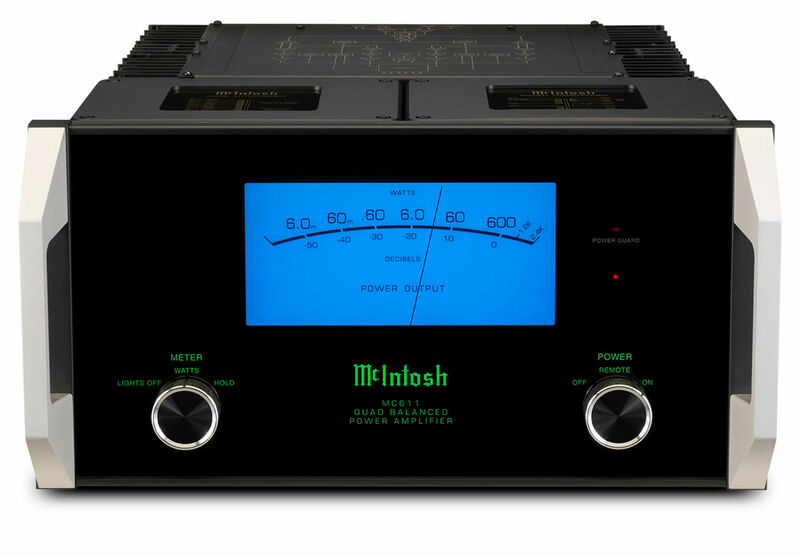 Power Control to send power on/off signals to other connected McIntosh components for easy system power up and shutdown. Both a balanced and unbalanced output are included to make bi-amping or tri-amping your speakers easier; they can also be used to send the audio signal to a secondary system if your preamplifier​ does not have enough outputs, or to connect a powered subwoofer. 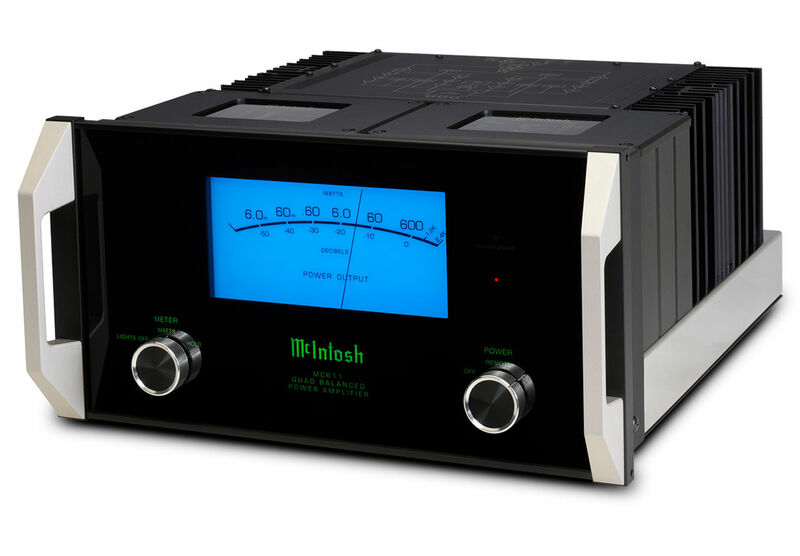 The MC611 sits on a beautiful polished stainless steel chassis and features the timeless McIntosh aesthetic of a black glass front panel, illuminated logo, control knobs, aluminum handles and of course a large 8” (20.3 cm) fast responding blue Watt meter.